Weight training is great for your body. 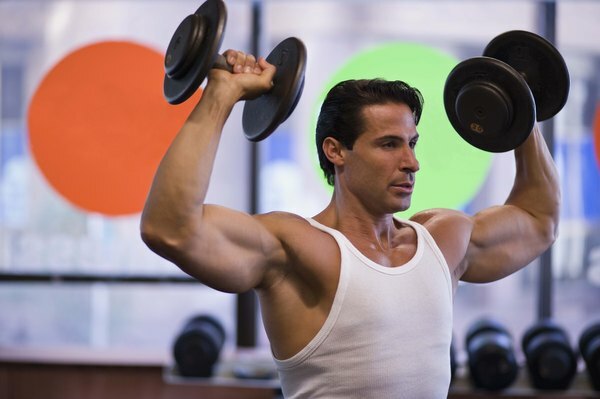 Lifting weights is a great workout for isolating, toning and strengthening your muscles. Weight training can even help prevent muscle loss as you get older. It works by using the force of the weight against the opposing force of the concentric or eccentric contractions of the muscles. Safety precautions are important to avoid injury because this is an exacting sport. Always remember to ask for help if you are unsure about an exercise. Use a spotter if you are lifting heavy weights. It's important to seek the supervision of a personal trainer or weightlifting expert if you are new to this beneficial exercise. Keep your spine in a neutral position. Avoid bending at the hips to pick up weights. Keep both hands at an equal distance from the center of the weight when lifting free weights. Try to use only the muscles you are attempting to isolate. It will be easier to maintain proper technique if you choose the appropriate weight. A weight that is right for your current fitness levels will wear out your muscles after only 12 to 15 repetitions. It's important to breathe correctly when lifting weights to ensure that your muscles get a steady stream of oxygen. Doing so helps you avoid fatigue and potential injury. Exhale slowly while lifting the weight. When resting or returning the weight back to its original position, breathe normally. According to Bally Fitness, never hold your breath during weightlifting exercises. If you do, you may start feeling lightheaded or even faint. Always stop lifting immediately if you feel lightheaded or nauseous. Stretch your entire body before each workout. Pay special attention to the muscles you will be using for lifting. 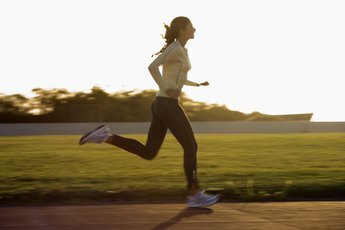 Do a bit of cardio to raise your body temperature. It can be something as simple as jumping jacks or running in place. If you are going to lift very heavy weights, start with lifting lighter ones for a set or two. Cool down by thoroughly stretching your muscles to avoid the build-up of lactic acid and promote overall wellness. As Jenn Burke, a New York City personal trainer, recommended in "Men's Fitness," do yoga poses and walking lunges after lifting. Your heartbeat should come down to 100 to 120 beats per minute. Handle the weight with care. Place the weight back in its place slowly. Never allow it to swing or jerk into place. If you are unsure about the speed you should be lifting, practice lifting to a count of two seconds and releasing the weight slowly to a count of three seconds. It's important to strike a healthy balance between doing enough weight training to be effective and doing so much that you risk injury. The Mayo Clinic advises that you can see improvement by starting out with two to three sessions per week that last between 20 to 30 minutes. Expand your weekly exercise beyond anaerobic activity for optimal fitness. You need to get approximately 150 minutes per week of cardiovascular exercise as well. Robin Raven was first published in 1998. She has contributed to newspapers, magazines and online publications, including "The Malibu Times," "Act'ionLine" for Friends of Animals, USA Today Travel Tips and the official Melissa Gilbert website. Raven specializes in travel, health, beauty, culture, vegan nutrition, joyful living, arts and entertainment. She holds a Bachelor of Fine Arts in writing. 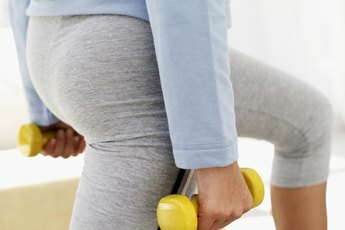 When to Exhale During Exercise? How Much Weight Should Be Used During Dumbbell Shrugs? Can Yoga Be Used in Place of Weight Bearing Exercise?